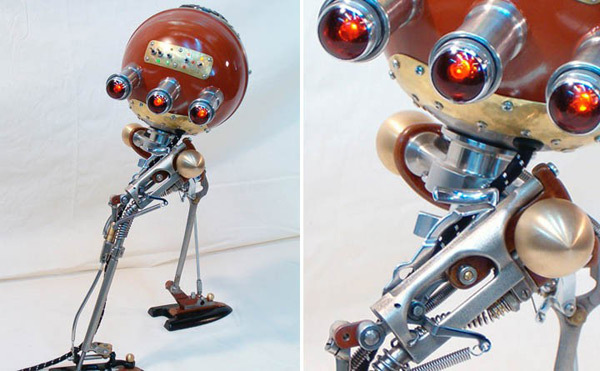 These unusual robots were featured on the oddly named Russian website Ribbon Comedy Eye Girls. For some reason, the title of the site makes me think of The Girl With the Dragon Tattoo. 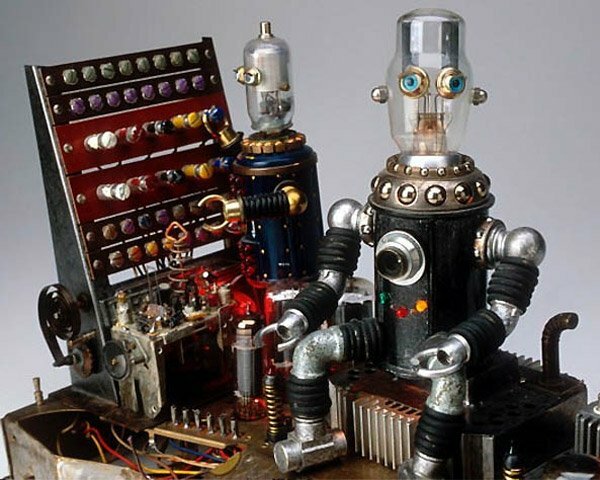 Although these robots made from found objects don’t really function (other than maybe lighting up), they are intriguing. I honestly don’t know what to call these things. Steam-bots? Ro-Punks? 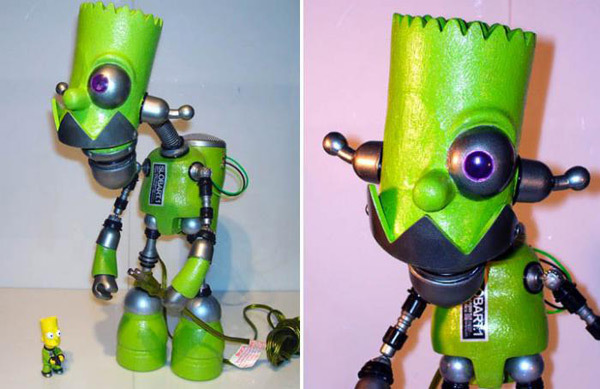 Needless to say that my faves are the Futurama-inspired robots – although the green Bart Simpson ‘bot is pretty cool too.